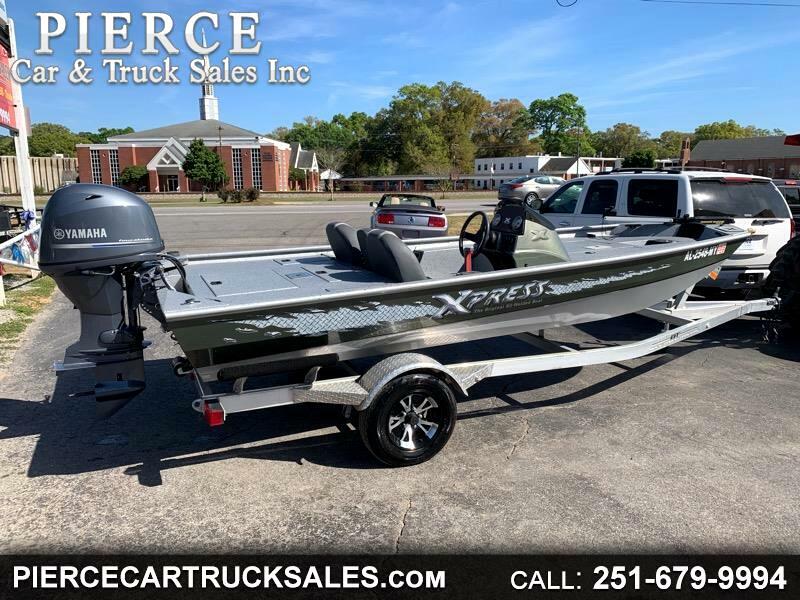 Used 2017 Xpress XP7 for Sale in Satsuma AL 36572 Pierce Car & Truck Sales Inc.
YOU ARE VIEWING A 2017 XPRESS XP7 ALL WELDED BOAT. IT IS EQUIPPED WITH A 70 YAMAHA FOUR STROKE MOTOR (ONLY 10 HRS! ), MINN KOTA EDGE 45 LBS. THRUST 12 VOLTS 5 SPEED TROLLING MOTOR, HUMMINGBIRD DEPTH FINDER, LIVEWELL, SINGLE AXLE ALUMINUM TRAILER AND PLENTY OF STORAGE. STILL HAS FACTORY WARRANTY!! ALL BOATS HAVE BEEN CHECKED BY CERTIFIED MECHANICS AND GUARANTEED TO RUN AND FLOAT!!! NO TEST DRIVES!!! Message: Thought you might be interested in this 2017 Xpress XP7.